Caution: Do not let egg shaker get wet. To clean, wipe with a cloth that has disinfectant solution on it. Easy-to-clean plastic egg shakers with Music Together logo. 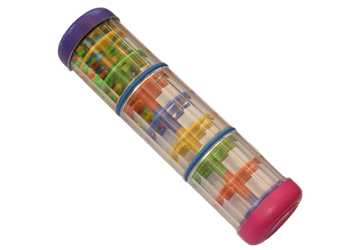 Baby-friendly with a circumference of 6.75" length-wise. Age-rating: 0+. 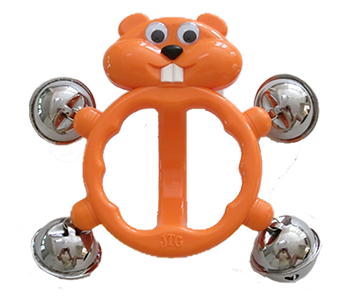 This cheerful, adorable 7” x 6 ½”chipmunk jingle has a really great sound, that’s not overly loud. 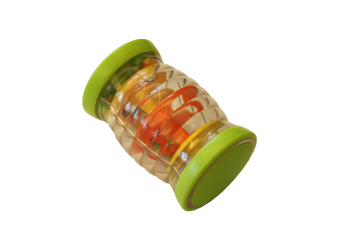 It’s designed with safety in mind and is of very good quality. Age-rating: 3+ years. This fun trio of giraffe, elephant and rhino shakers has great sound and the easy-to-hold shapes make them ideal for children. Age-rating: 2+ years. 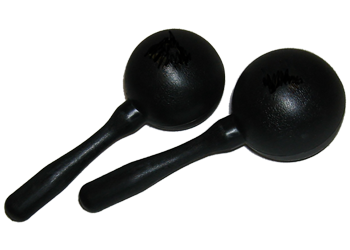 This 3”-high durable, black shaker is shaped like a conga drum and is fun to hold and play! Age-rating: 2+ years. Caution: Do not let shaker get wet. To clean, wipe with a cloth that has disinfectant solution on it. 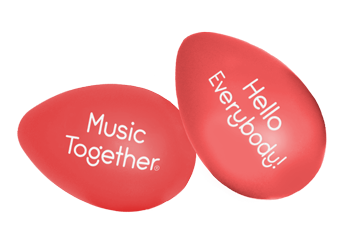 Chick-Itas offer a great sound in a smaller size. 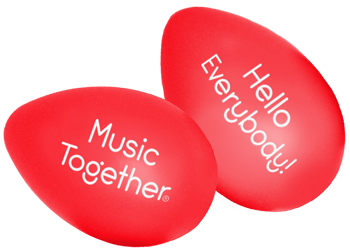 Bright, child-friendly, colored egg-shaped shakers with the Music Together logo. Age-rating: 2+ years. Bold, colorful egg-shaped shakers on black handles with a soothing sound. Choose red, blue, purple, or yellow. Age-rating: 2+ years. 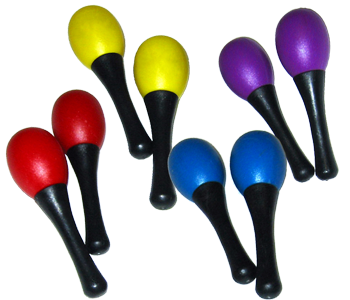 These 5-3/4"-long maracas have a lively, bright sound, a quick attack, and are well balanced for any hand to hold. Age-rating: 2+ years. 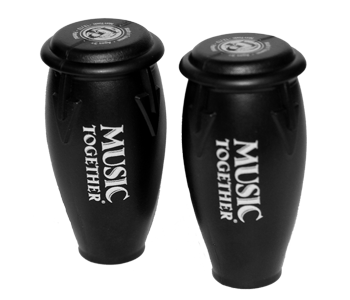 Made of durable black plastic providing an excellent sound. 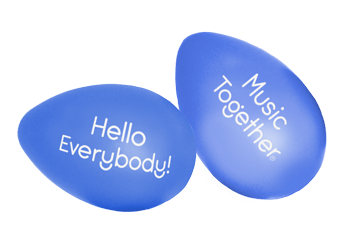 Safe, very durable, and easy-to-clean. 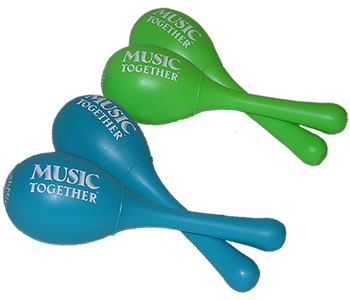 These 7"-long maracas have a lively, bright sound, a quick attack, and are well balanced for any hand to hold.